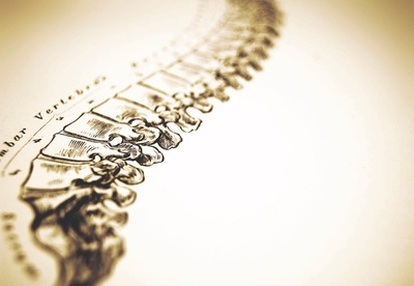 Chiropractic is a non-invasive, hands-on health care discipline that focuses on the musculoskeletal system. Dr. Ken Alexander's main treatment techniques involve manual therapy, especially manipulation of the spine, pelvis, other joints, soft tissues and nervous system. Treatment may also include therapeutic exercises as well as general health and lifestyle counselling. Adaptation of the procedure to meet the specific needs of each patient is key for a successful outcome. A manipulation/adjustment is a highly controlled procedure and is performed by someone trained and licensed to deliver chiropractic care. ​As a chiropractor, the most common conditions that Dr. Ken Alexander has treated are spine related issues such as neck, mid-back, and low back pain as well as headaches. He has also treated many other areas of the body including ankles, knees, hips, shoulders, elbows and wrist conditions. Chiropractic treatments focus on addressing the joints and muscles to determine what is causing the pain and treating the painful or dysfunctional areas. Through orthopaedic and functional tests we determine exactly what the cause of pain is, and from there treat the condition using an evidence-informed model. Whether it is a new injury, old nagging injury that has never quite gone away or for maintenance care, Dr. Alexander can use his expertise to help you with whatever your concern is.